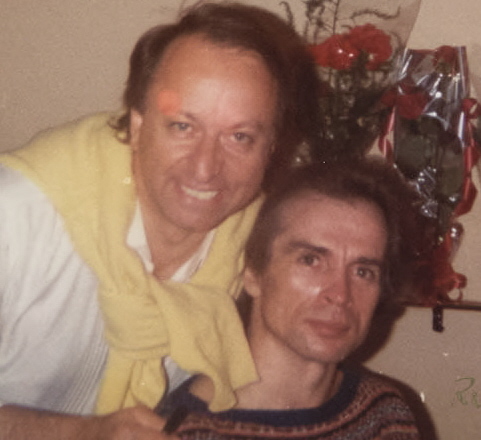 Nureyev was a close friend to Robert and Jacqueline. 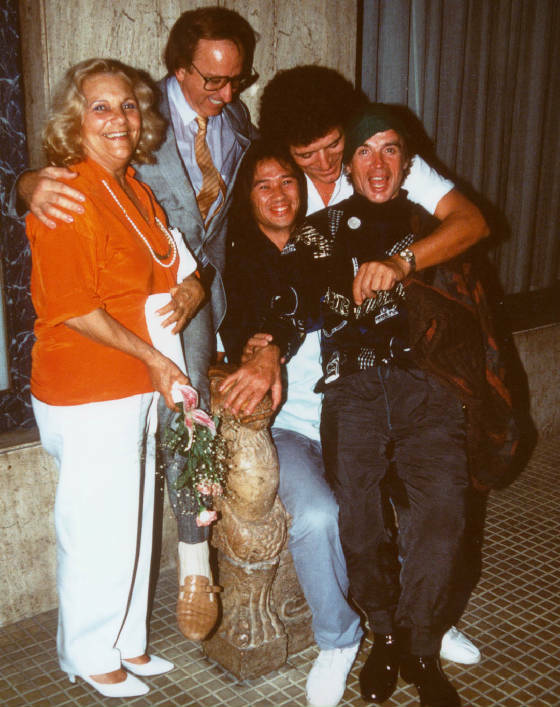 This memoir shares material until now held private. 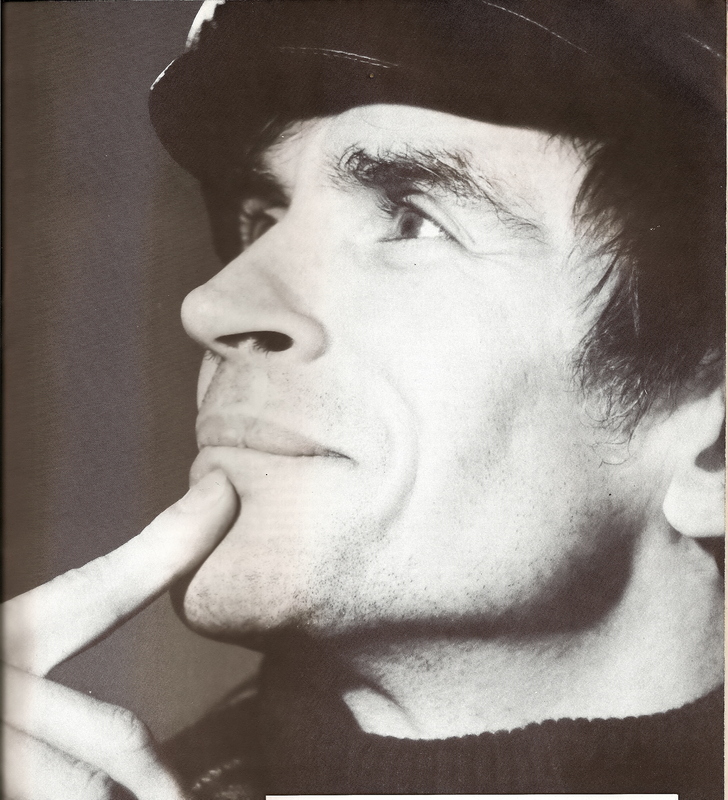 personality unknown to most, even those closest to him. 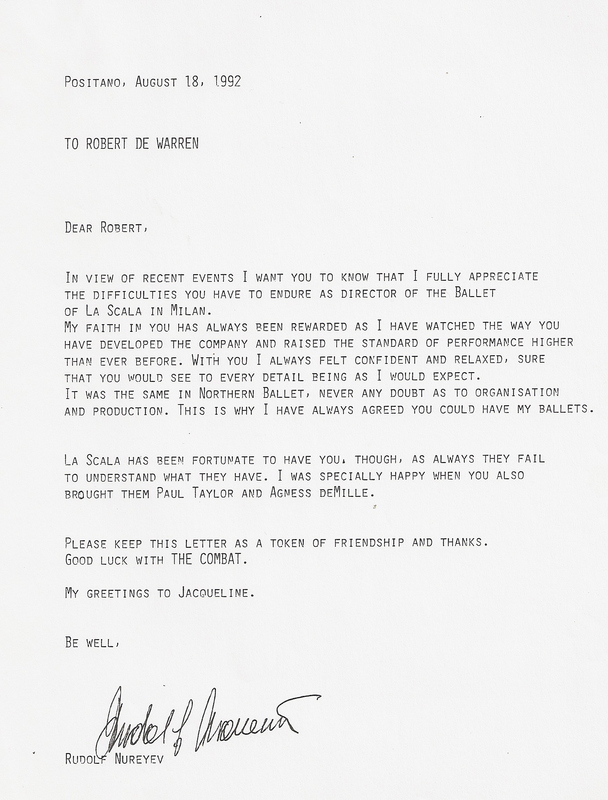 He was a great influence on Robert's artistic life. 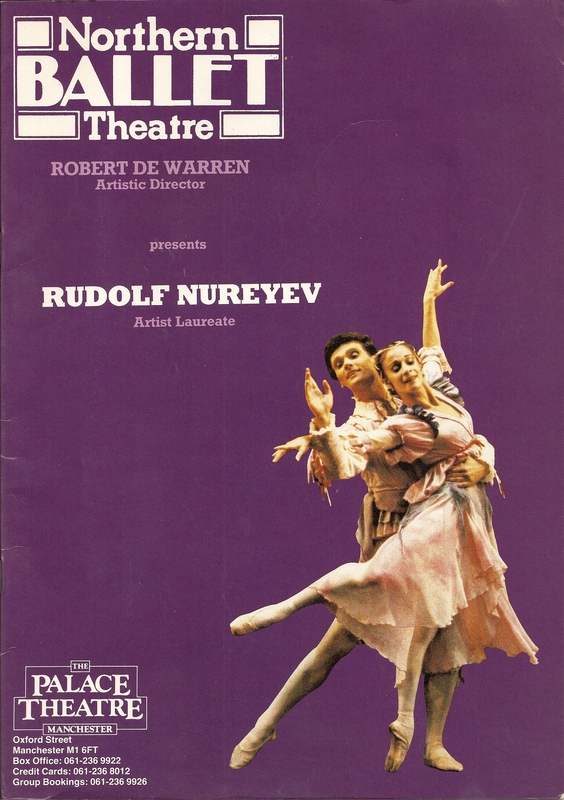 Nureyev so enjoyed working with Robert's Northern Ballet, he became Artist Laureate. An exclusive honor. 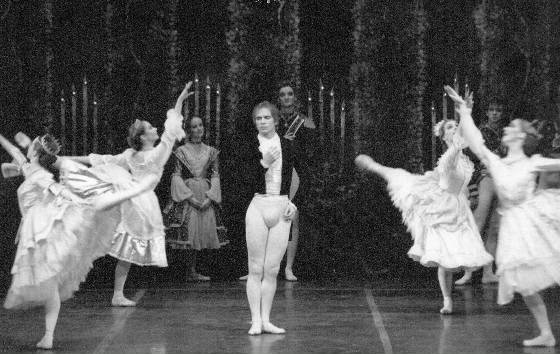 He performed a varied repertoire including the Tchaikovsky Trilogy - Swan Lake, Sleeping Beauty and The Nutcracker in our productions. 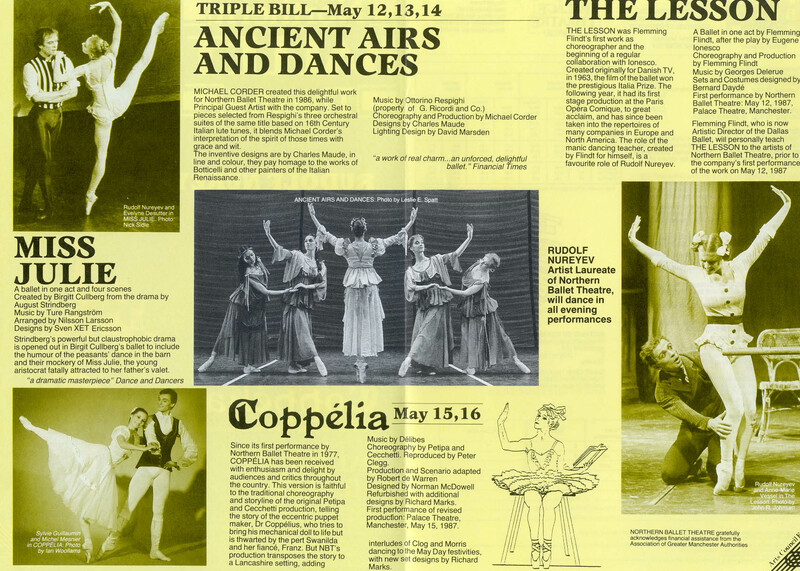 He laso danced in Miss Julie by Brigitte Cullberg, The Lesson by Flemming Flindt, Les Sylphides mounted by Dame Alicia Markova and Robert's own production of Coppelia. 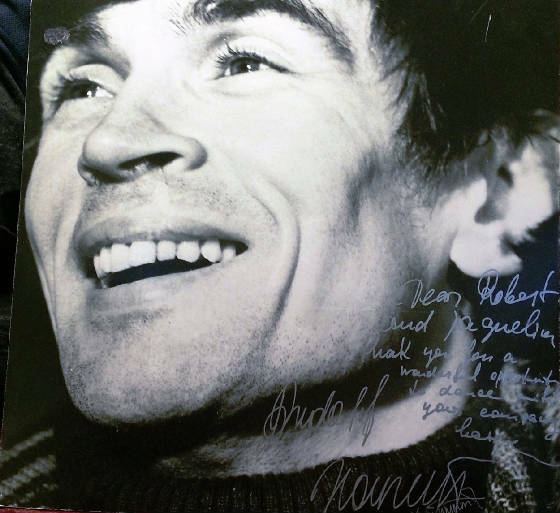 He was an inspiration to the young company who cherished his presence and advice. 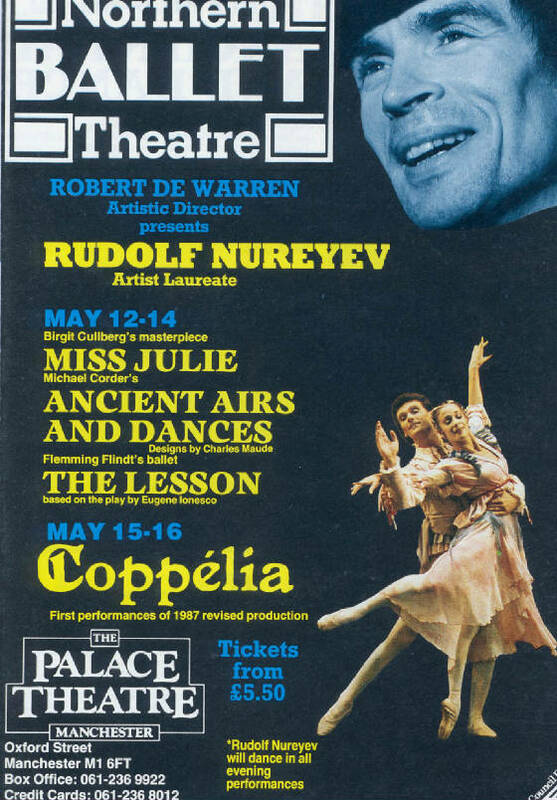 Nureyev danced in Robert's designed Swan Lake. It was nominated for the BAFTA - Sir Lawrence Olivier Award for best designer, scenery and costumes.